We’ve all seen Ocean’s Eleven. Everyone knows that it’s nearly impossible to steal money from a casino’s vault. The security is complex and state-of-the-art and no one person knows the whole system. A group of four amateur thieves tried to rob a poker tournament in Berlin in March 2010, and made off with about $320 thousand, but their actions were caught on camera and they were later caught. In the history of casinos and gambling, very few have been successful. One particular heist stands out as a unique story. In September of 1992, Bill Brennan was working at the Las Vegas Stardust Resort as a cashier. One day, he walked out of the casino for his lunch break and was never seen again. Later, the casino discovered that he had put more than half a million dollars in cash and chips in his backpack. Bill Brennan is on the FBI’s most wanted list and his picture and story have appeared on America’s Most Wanted, but he’s never been found. There is some speculation as to what happened to Brennan. Some theorize that Brennan had a partner who killed him instead of sharing the take. If his partner were one of the security guards, it would explain how he walked right past them with a backpack full of cash without ever being checked. Others believe that Brennan managed to get out of the country quickly and is now living it up on a beach somewhere. What is amazing about Bill Brennan’s heist is the simplicity of the job. 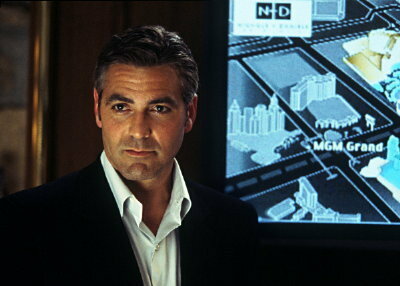 Most casino heists involve complex equipment. For example, one group devised a laser measurement system fitted into a cell phone. This system could measure where the ball was likely to fall in a roulette wheel. Another system used measuring devices in shoes that transmitted from one player’s shoes to another’s. Some successful heists have used weapons to grab cash, but often threats lead cashiers to sound alarms, guaranteeing capture. There have been other cashiers who have tried to walk away from casinos with cash too. An Arizona casino worker named Adam Vega, relieved his workplace, the Desert Diamond, of over $600,000 by generating jackpot override tickets for the slot machines. Vega was pretty clever. He kept his wins under $1,200 to avoid generating a W-2G tax form. After a while, though, the casino cage cashier realized he was processing too many jackpot override tickets. 585 tickets really does seem like quite a lot. Tagged with heists, Las Vegas.